David Rea with his first ever summer flounder (a nice 22” fluke) caught south of Dutch Island last Saturday. Tom Lombardi of Charlestown with his limit of fluke (totally 30 pounds) he caught last weekend on the Frances Fleet. Cameron Sears of Seekonk (13 years old) with a striped bass he caught at the North Rip casting soft plastics when fishing with his father and Jack Leyden. Wilbur Ross, Secretary of Commerce, notified the Atlantic States Marine Fisheries Commission (ASMFC) that he has found the State of New Jersey to be in compliance with the new Summer Flounder Fishery Management Plan. The decision circumvents the work of the Commission that provides coastwide management of summer flounder (fluke) in our area. In a press release last week, the ASMFC said, “Based on the latest stock assessment information, summer flounder is currently experiencing overfishing. Spawning stock biomass has been declining since 2010 and is just 16% above the threshold. If the stock falls below the biomass threshold, the Magnuson-Stevens Fishery Conservation and Management Act requires the Council to initiate a rebuilding program, which could require more restrictive management measures. The Magnuson-Stevens Act puts fish first in this nation to ensure that fish stocks are rebuilt. Having more than 40 fish stocks successfully rebuilt proves the fish first policy works. When decisions – such as the Secretary of Commerce’s decision allowing New Jersey to make their own summer flounder regulations – are allowed, they put the interests of individual states first. This is a recipe for disaster. States are subject to local political pressure to put local interests first, and the fish will take a back seat. The big concern with last week’s decision is that other states will decide to fish the way they want to regardless of what’s best for the fish, and we could end up with total chaos. On Thursday, July 13th the City of Cranston Ordinance Committee passed an ordinance to eliminate fishing at the Ocean Avenue, Cranston public access point. The ‘No Fishing” ordnance will now go before the City Council for final approval on July 24. The ordinance in part read, “There shall be no fishing at the public access point where Ocean Avenue meets the shoreline at any time”. The primary advocate for the ordinance was the Rhode Island Yacht Club, whose parking lot is adjacent to the public access fishing area. The Yacht Club commodore (chief volunteer officer), past commodores and some property owners in the area said “Why should we be subject to people fishing there adding congestion to the end of the street”, “The trash in the area is terrible.”, “I do not like walking down to the water with all those lines in the water.”, “We work hard and deserve to go to our boats without this hassle”, said a Yacht Club member. Some neighbors as well as Councilpersons Steven Stycos and John Lanni did not support the ‘No Fishing’ ordinance saying if approved the ordinance would deprive the people of Cranston and the State of RI of public access to the Bay to fish which is a constitutional right. I visited the Ocean Avenue site Tuesday afternoon, July 11 at 2:30 p.m. There were four people fishing there, no trash was on the ground and a trash bag was tied to the fence which looked like it had been placed there by the fishermen. As fishermen and access advocates, we need to be diligent about protecting public access points on lakes, ponds, coves, rivers, bays and the Atlantic Ocean. City Council advisors at the meeting said there were only three other fishing access point locations in the City of Cranston. The ‘No Fishing’ ordinance is scheduled to go before the City Council at their July 24th meeting. The ‘No Fishing’ ordinance has a lot of political horsepower behind it has the sponsor of the ordinance is City Council president, Michael Farina and it has the support of the Ordinance Committee. The City Council meeting is open to the public. “Freshwater fishing bass fishing is good. Anglers are using shiners and soft plastics with success. The surprising thing is that the trout bite is still pretty good at Wood River. Customers are even catching some trout in local ponds that were stocked by DEM. This is unusual for this time of year.” said Dave Henault of Ocean State Tackle, Providence. 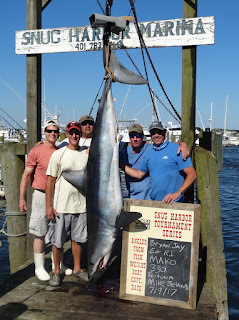 The crew of the sport fishing vessel ‘Fortuna’ from East Greenwich took 1st place in this weekend’s Snug Harbor Marina shark tournament with a 330 pound mako. Bryan Jay was on the rod when the fish hit. Bob Matterson with the monster 20.5 pound bluefish he caught south of the Jamestown Bridge. The State of RI record is 26 pounds, set by D. Deziel of Woonsocket in 1981. Steve Brustein of Portland, Maine with the 23” fluke he caught Saturday just north of the Newport Bridge. The sport fishing vessel ‘Fortuna’ from East Greenwich, RI captained by Mike Beland landed a 330 pound mako shark to take first place in Snug Harbor Marina’s Shark Tournament this past weekend. Bryan Jay was on the rod when the fish hit. Michaela Hastings on ‘Rangeley’ took second place with a 235 pound mako. Matt Conti of Snug Harbor Marina said, “We had a great turnout with 49 vessels participating, two more than last year.” The tournament took place July 8th and 9th and concluded at 5:00 p.m. on Sunday. Proceeds from the tournament go the Rhode Island Saltwater Anglers Association and the Recreational Fishing Alliance. The 7th annual Fishing for A Cause tournament, fundraiser and dinner raised nearly $200,000 to benefit children and families of the Schwartz Center, Meeting Street’s Dartmouth, MA campus. The sold-out annual event which took place June 23rd and 24th featured more than 100 anglers and over 350 guests at the seaside dinner, making it the largest annual fundraiser for The Schwartz Center. Upon the culmination of the tournament participants enjoyed a seaside dinner emceed by comedian Lenny Clarke. The dinner celebrated tournament participants, dedicated supporters and the children and families that will benefit from the proceeds. This year’s first place 48”striped bass was caught by Mike Marcello of Portsmouth, RI; first place blue fish went to Richard Bellizzi of Dartmouth, MA with a 31.50" fish; and first place summer flounder (fluke) went to Dan Abraham of Portsmouth, RI with a 22.25” fish. The Big 3 Fishing Tournament is scheduled to take place today, Friday, July 14 at the Wychmere Beach Club in Harwich, MA. Since it started three years ago the tournament has raised more than $1-million for Big Brothers Big Sisters of Cape Cod and the Islands. Forty boats are expected to participate this year with over 300 people attending the dinner. Watch for tournament winners next week. Concerned about mercury in fish? The 13th International Conference on Mercury as a Global Pollutant (ICMGP 2017) will be held in Providence this Sunday, July 16 through Friday, July 21. Over 1,000 people from 57 countries are registered to attend. Ecotoxicologist Celia Chen, who is the research translation core leader for the Dartmouth Toxic Metals Superfund Research Program, and a research professor of biological sciences at Dartmouth College, serves as a co-chair of the conference. Chen is a widely-recognized expert on the fate and effects of metal contaminants in aquatic food webs both in freshwater and estuarine ecosystems. She’ll be leading one of the workshops to be held on July 16 as part of the conference. Visit the conference website at http://mercury2017.com for details and the latest on mercury as it relates to aquatic ecosystems and fish contamination. 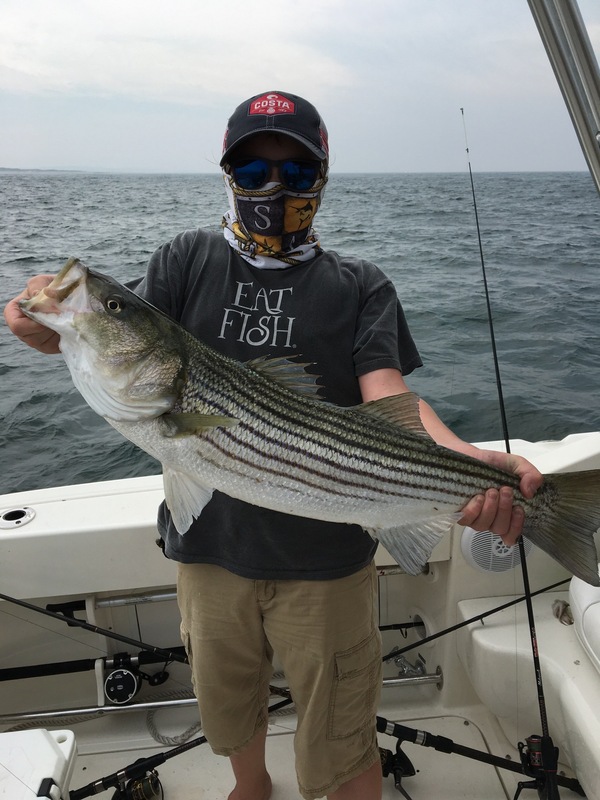 Striped bass fishing continues to heat up on Block Island. Angler Eric Appolonia (and family) from North Kingstown caught striped bass to 40 pounds using umbrella rigs and eels at the Southwest Ledge last week. We fished Sunday too and caught three keepers to 32 pounds on eels.” Matt Conti of Snug Harbor Marina, South Kingstown said, “Bass fishing with eels are working on the Southwest Ledge with fish in the forty pound range being caught at night and during the day.” Manny Macedo of Lucky Bait & Tackle, Warren said, “For the most part bass have left the Bay we had a few fish caught at Ohio Ledge on eels but all the action is at Block Island. The largest Block Island fish we weighed in this week was 50.5 pounds.” Mike Wade of Watch Hill Outfitters, Westerly said, “Striped bass fishing has exploded here. 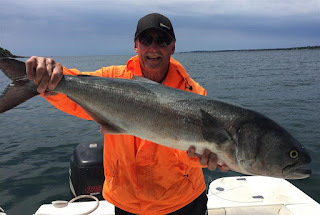 A customer jigging for black sea bass caught a 37 pound fish and anglers have been catching 40 to 45 pound fish using eels at Watch Hill and Sugar reefs.” Capt. Frank Blount of the Frances Fleet reports good evening striped bass trips last week with boats limiting out, many anglers caught fish in the 30 and 40 pound range. Cory Bourassa of Cumberland caught this back sea bass Sunday under the Newport Bridge. Minimum size is 15”with a three fish/person/day limit. Owen Clark and Aiden Beltrami (both 8) present their fish drawing at the RI Saltwater Anglers Association Fishing Camp held at Rocky Point State Park with DEM and US Fish & Wildlife as partners. “The striped bass bite on the southwest side of Block Island continues to be spotty, however, the fish being taken are large in the mid 40 pound range.” said Matt Conti of Snug Harbor Marina. “We still have plenty of school bass around but things have slowed down in Mt. Hope and Narragansett Bays or keepers. Things are better on Block Island with some big fish being caught there and off Westport.” said Manny Macedo of Lucky Bait & Tackle, Warren. Jose Estrava, an associate at Ocean State Bait & Tackle, Providence caught a 35 pound bass at the Cape Cod Cannel using a three once pencil lure. “Bass are being caught in the lower River at the Day Marker, off Green Island and areas between Fields Point and Conimicut Light. The bite off Newport has been good too with anglers landing fish using plugs, trolling and using eels from shore. Top performing plugs for striped bass this year include the two once dotters by Yo-Zuri.” said Dave Henault of Ocean State. “Scup fishing is very good with some very large fish in the 13” to 17” range being caught at the Mt. Hope Bridge (both sides), Fog Island as well as in the Newport area.” said Manny Macedo. “The scup bite off Warwick Neck was good Thursday as 50 participants of the RI Saltwater Anglers Association fishing camp fished from 15 volunteer vessels, scup to 15” were caught that day. Squid fishing has been spotty; however, a good bite was reported at Ft. Wetherill, Jamestown this week. Freshwater fishing for trout has slowed a great deal as the water has warmed and stocked ponds are being depleted. However the largemouth bass bite remains strong with smaller fish being taken. The Brickyard Pond in Barrington is getting weedy but yielding some nice Carp.” said Manny Macedo of Lucky Bait. In a media advisory last week the National Oceanic & Atmospheric Administration (NOAA) said they are soliciting public comment on National Marine Sanctuaries and Monuments designated or expanded since 2007 to determine if they should exist or be reduced. President Trump’s Offshore Energy Strategy outlined in his May Executive Order has ordered the Secretary of Commerce through NOAA to review if national monuments and sanctuaries present “lost opportunity” with regard to potential energy and mineral exploration and production. Many in the fishing community are split about National Monuments. Some believe, as the President does, that profits and jobs should come first. However, a large part of the fishing and conservation communities believe it should be the environment and fish that should be first. Many believe that National Marine Sanctuaries and Marine Monuments serve as a sanctuary and spawning grounds for a variety of sea life and fish and should be left untouched by development. For information on National Marine Monuments and Sanctuaries visit NOAA Fisheries website at http://www.nmfs.noaa.gov/ . Kevin Ward of Bristol, CT caught this 52 pound striped bass trolling an umbrella frame on the south side of Block Island on Priority Too Charters out of Pt. Judith. Dirck Westervelt of North Kingstown caught this summer flounder under the Newport Bridge on an incoming tide Wednesday on No Fluke Fishing Charters. The Rhode Island Saltwater Anglers Association (RISAA) will hold two youth fishing events this week. The 19th Annual Take-a-Kid Fishing event will take place in Greenwich Bay this Saturday from 9:00 a.m. to 12 noon. About 150 children from over a dozen youth organizations including the Boys and Girls Clubs, the Providence Recreation Department and group homes will be treated to a morning of fishing. Over 100 volunteers and 50 volunteer vessels will take children fishing followed by a cookout at Brewers Cowesett Marina, the event host marina. There is no fee for participants and the camp is now full and enrollment closed. Camp is scheduled to kick off Tuesday at 8:30 a.m. with a symbolic first cast from the shore of Rocky Point Beach with a group of camp participants; Janet Coit, DEM director; Warwick Mayor Scott Avedisian; and Steve Medeiros, RISAA president. The Narragansett Chapter of Trout Unlimited (TU225) will host a seminar titled “Building a community around conservation & fishing” on Wednesday, June 28th after a brief 6:00 p.m. meeting. The seminar will be held at the Arcadia Management Area Check Station, Rt. 165, (Ten Rod Road), at Wood River, Exeter, RI. The meeting will be preceded by a 5:00 p.m. cook-out, the public is invited to attend. Speaker Jeff Yates, Trout Unlimited’ s national Director of Volunteer Operations , will be the guest speaker. He is an author and guide, whose first book, Fly Fishing Fairfield County: Secrets of Suburban Streams was published in 2011. For information contact Glenn Place at 1-401-225-7712 or TU225President@gmail.com . The Rhode Island Saltwater Anglers Association (RISAA) will hold a light tackle & fly fishing for striped bass seminar with Joe Gugino and a second topic on the benefits of angler surveys and how they help recreational anglers by Michal Bucko of the RI Depart of Environmental Management (DEM). Gugino is an accomplished kayak fisherman who prefers fly fishing and topwater fishing for striped bass. Mike Bucko leads Rhode Island’s team of angler surveyors. The public is invited to attend the seminar with a $10 donation to the RISAA scholarship fund. Optional dinner starting at 5:30 p.m., at the West Warwick Elks, 60 Clyde Street, West Warwick, RI. Visit www.risaa.org for details. Freshwater bite slowed this week with anglers catching large and small mouth bass as well as trout but not in the numbers they had been catching the earlier in the month. Angler Harold Hemberger said, “Have fished both Waterman Lake and Stump Pond in Smithfield in the past two days. I caught a half dozen bass - all in the one pound range. .nothing great but plenty of fun. Bait was a natural color rubber worm fished by letting it drop to the bottom and then up and down on the retrieve.” “Lincoln Woods and Echo Lake, Barrington is still yielding bass although not many large fish have been caught lately.” said John Littlefield of Archie’s Bait & Tackle. Striped bass fishing has been mixed. Capt. Rick Bellavance of the RI Party & Charter Boat Association (RIPCBA) said, “Striped bass fishing at Block Island is very good. All sizes from 25 inch school bass to a few 50 plus pounders were landed by charter boats this past week. 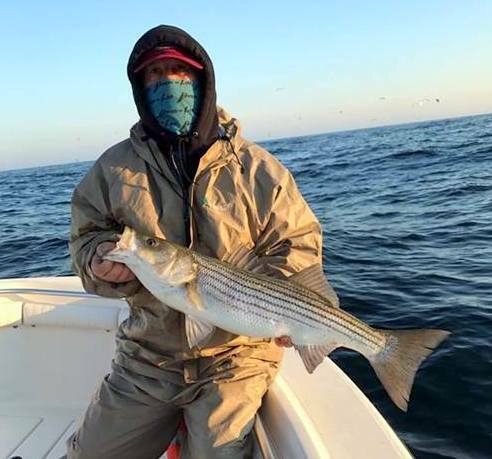 Kevin Ward of Bristol, CT caught a 52 pound striped bass trolling an umbrella rig off Block Island’s south side on my boat (Priority Too Charters).” Elisa Cahill of Snug Harbor Marina, South Kingstown said, “Capt. Louis DeFusco of Hot Reels boated a fish in the high forty pound range and Monday and we weighed in a fifty pound fish from a commercial fisherman.” John Littlefield of Archie’s Bait & Tackle, Riverside said, “The pogies are still thick in the Providence River but the bass have thinned out.” Manny Macedo of Lucky Bait & Tackle, Warren said, “Some anglers are switching to night fishing and they are using eels with success. The Mt. Hope Bay seems to be producing better than the West Passage.” “We had one of the largest surf casting tournaments take place this weekend and no bass of decent size were caught. Only bluefish. This shows how tough fishing from shore was this week.” said Nellie Valles of Maridee Bait & Canvass, Narragansett. Black sea bass (BSB) bite is on. “We had a customer catch a sea bass on an umbrella rig. Overall fishing for them has been very good.” said Many Macedo of Lucky Bait. Many anglers are limiting out (three fish/person/day) catching black sea bass when fluke fishing. “Summer flounder (fluke) fishing is getting stronger. 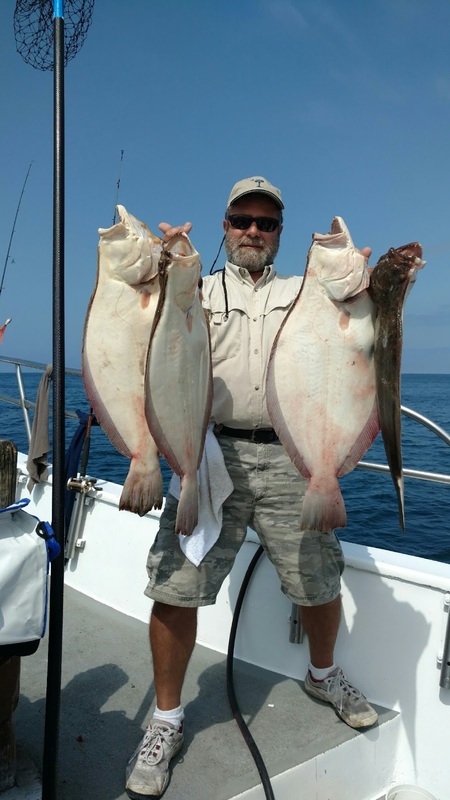 Fish are being caught at the windfarm and Nebraska Shoals and the Green Hill area are yielding some nice fish in 45 to 50 feet of water.” said Elisa Cahill of Snug Harbor Marina. 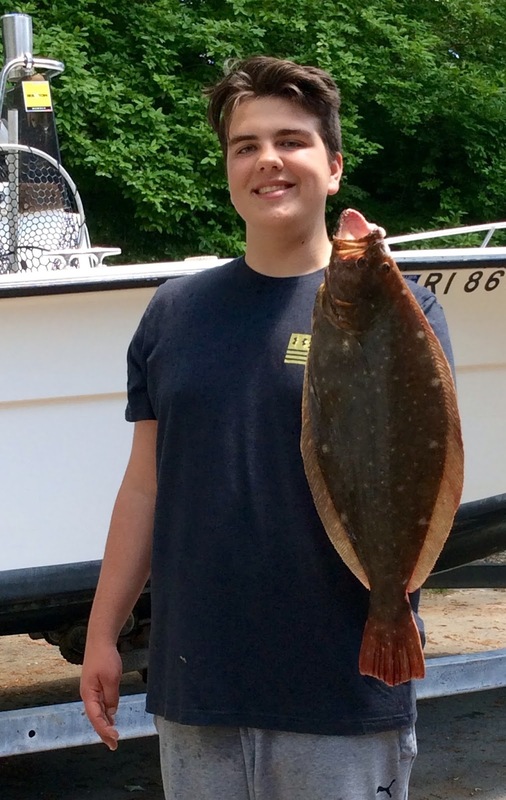 Manny Macedo of Lucky Bait said, “Fluke fishing in the Sakonnet area, under the Mt. Hope Bridge, under and around the Newport Bridge and Ft. Adams was good this past week.” John Littlefield said, “Some customers have been able to land fluke off Warwick Neck as well as in Greenwich Bay.” I fished the Jamestown Bridge/Dutch Island area last week and did well when wind and tide were in line and we could establish a good drift. Sea robins are prolific in our Bays and off coastal shores. Angler John Migliore of Aquidneck Island caught a large sea robin last week. Migliore said, “What was unusual is that a school of sea robins were feeding on the surface much like a bluefish or striped bass feeding frenzy.” Many anglers are now cleaning and eating sea robin tails.